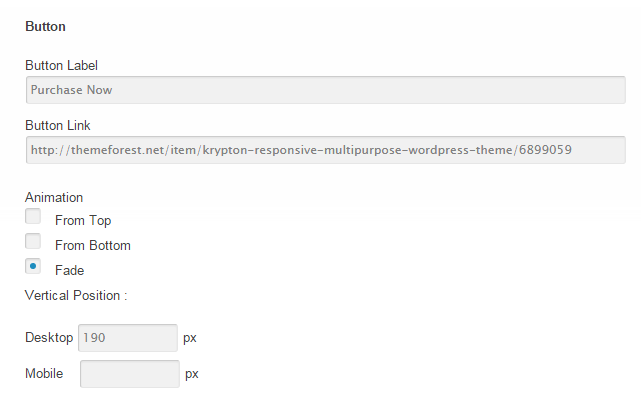 Included with Krypton is a slider editor/maker to be placed on your homepage. 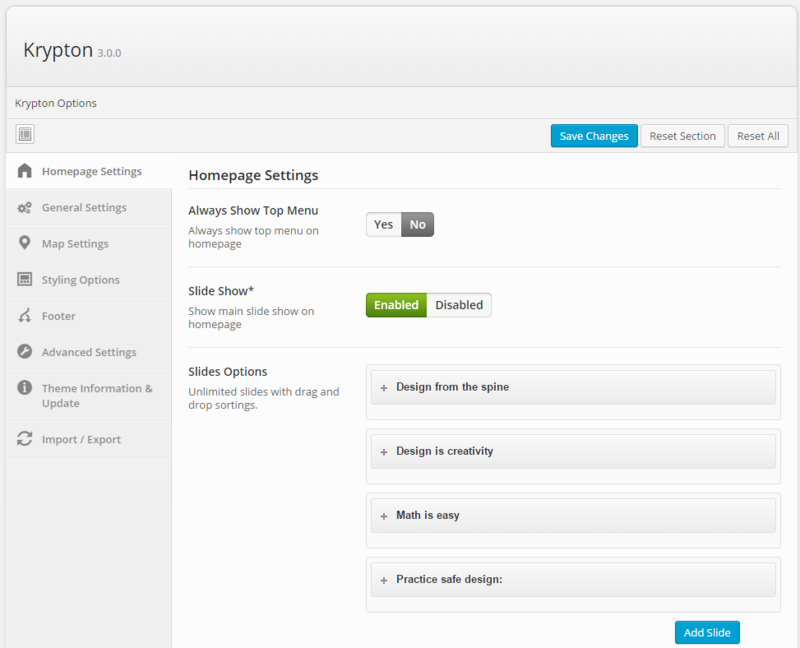 To make/edit the existing slide you can go to Appearance > Theme Options and then go to Homepage settings tab and edit/create the slide for your homepage. To customize the slide title you have 3 options avalaible : Slide Title to change the title’s text, Title Animation to change the title’s animation, and Title Vertical Position to change the title’s vertical position on mobile and on desktop. 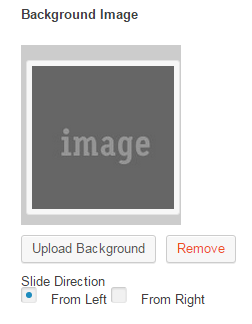 This options is the same as Slide Title options, but this one is to edit the slide’s content instead. 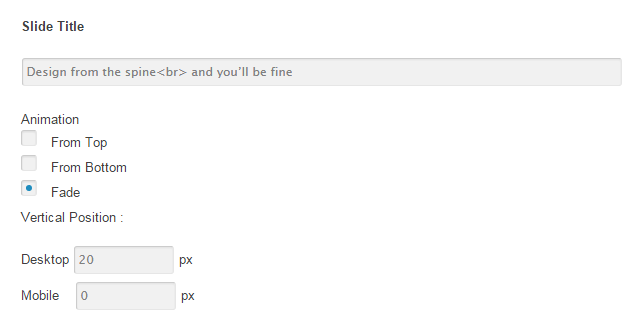 The Button options is to edit the Button on the slide, here you have a Button Label, Button Link, Button Animation, and Button Vertical Position. 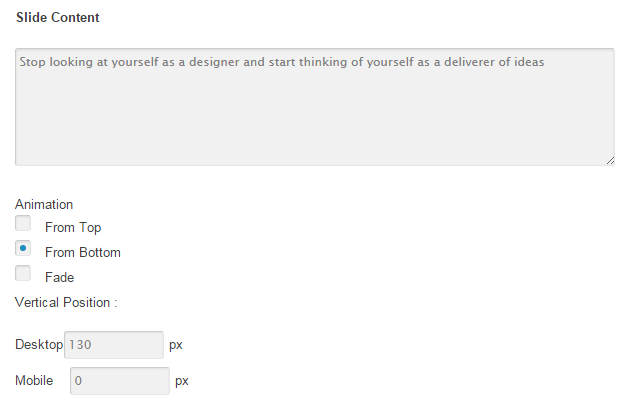 This options is for slide’s image, you can use this to put your company’s logo for example. 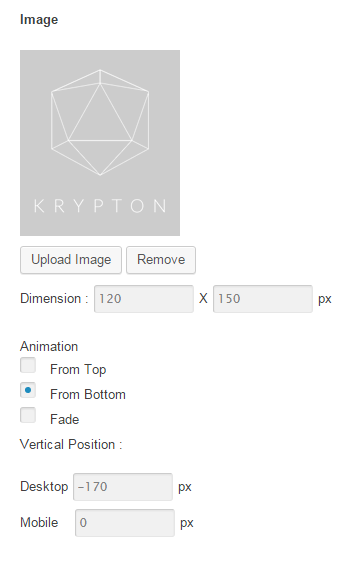 Here you choose an image to be used, image’s dimension, image’s animation, and image’s vertical position. this option allows you to choose your image as a slider’s background and it’s animation (it can appear from the left or the right).